I hope everyone has a great Thanksgiving holiday! I am so thankful to be part of Bloomfield Farms and the amazing opportunity to cook and create things from what we grow. 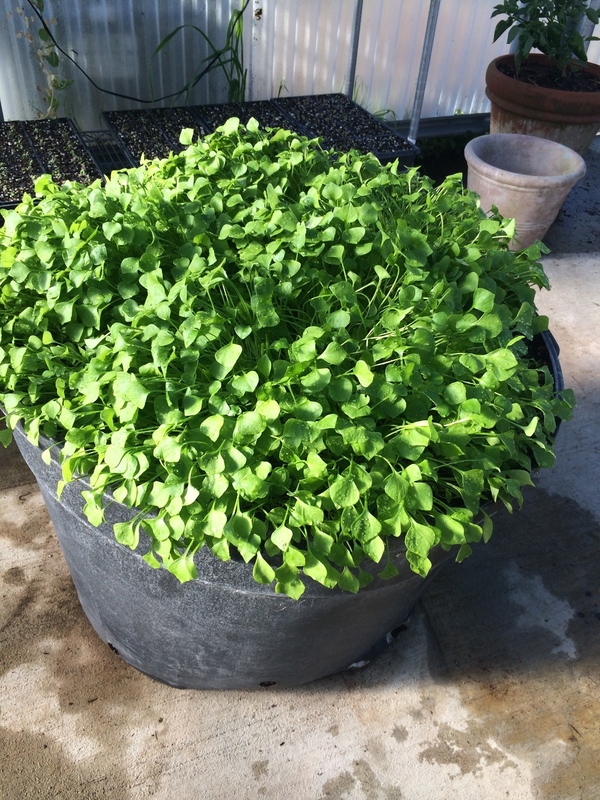 I am very excited about the succulent salad greens growing in the greenhouse. 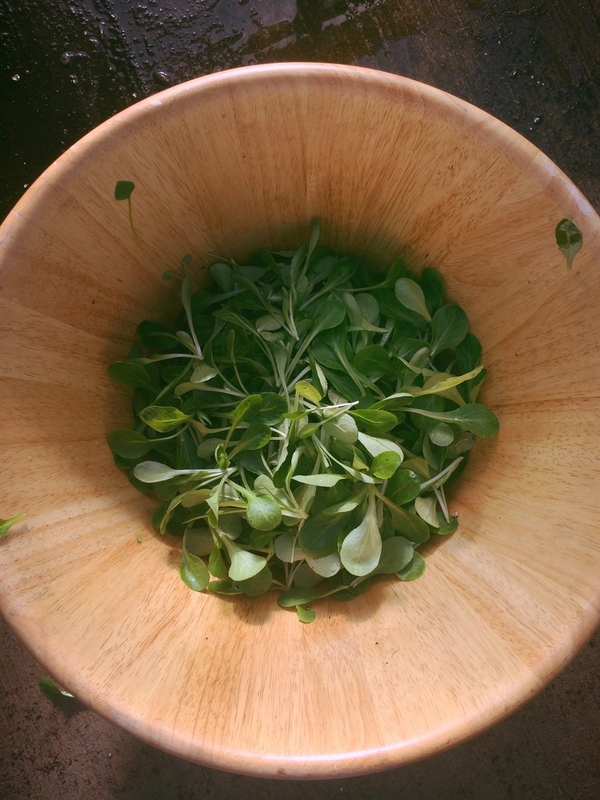 This morning we harvested delicate mache, miners lettuce, cress and a lemony red leaf mixed with arugula, wasabi arugula and other young leaves from the fields. I suggest eating this mix as soon as you can to get the full effect of the delicate flavors. We also have two types of tatsoi, collards, squash, chard, leeks, beets, kale, feijoa and herbs. I am sure you have many ideas for Thanksgiving. This one uses the collard greens or the chard and leeks for a gratin that would be amazing with turkey. In a large pot of boiling water, blanch the chard or collards in batches until wilted, about 1 minute. Drain the chard, squeeze dry and chop it small. MAKE AHEAD The unbaked gratin can be refrigerated overnight. Bring to room temperature before baking.